Okay, I know this one is out of sequence, but it was way too totally awesome to not post as soon as possible. Nathan Sawaya does the sort of thing that I want to do when I grow up. Er…okay maybe that’s not accurate, because he hasn’t grown up either. 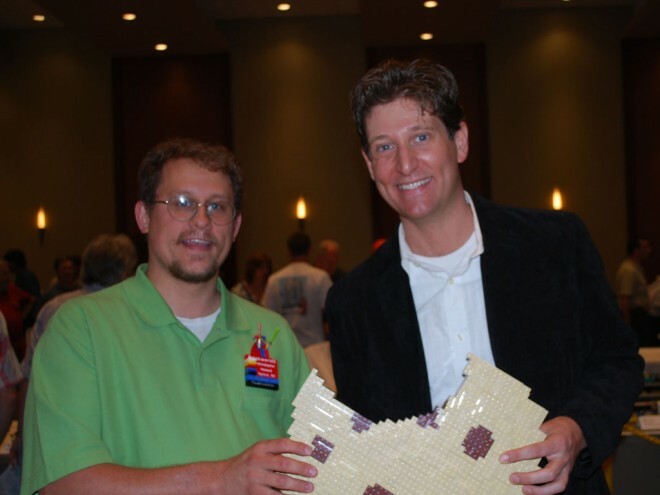 Nathan is one of only a handful of LEGO Certified Professional builders — i.e., he doesn’t work directly for LEGO, but his day job is building art using LEGO as a medium — the sort of thing I do here on Duckingham, just on a much smaller scale than he does. You can check out his work at BrickArtist.com. Nathan was great to talk to; he didn’t bring any of his own work (most of it is too big to fit in his carry on bag ;D), but said several nice things about what I had there. 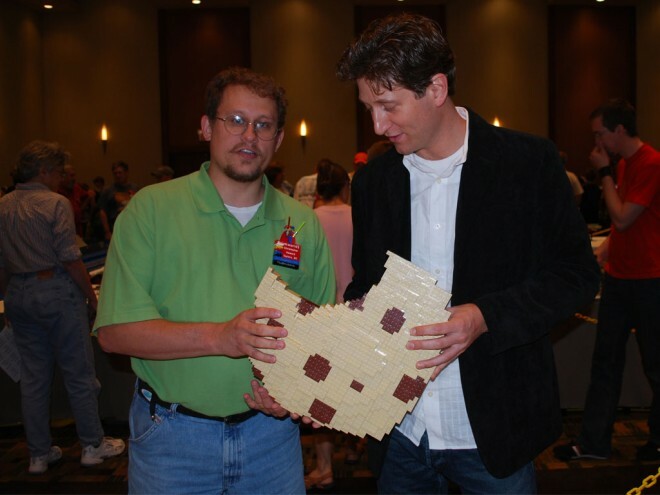 Nathan has also made a chocolate chip cookie; his used a lot more bricks than I own, but this is the one I built, and I might add, I had mine posted on the web sooner, so I could claim he stole my idea. 🙂 Nah.